Since the 1980s, Martha Araujo, (b. 1943 Maceio, Brazil) has explored the physical and psychology limits of the body. She has explored space, the body and mind by asking spectators to use objects and clothing that she produces and exhibits in exhibition spaces. Many of her works are related to her performing installations between 1982 and 1987 entitled “Habito / Habitante”. 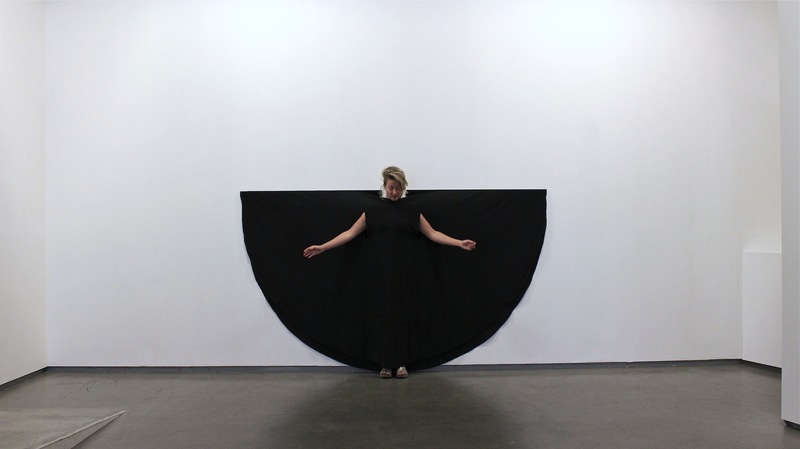 From a historical perspective, her approach relates to Helio Oïticica and Lygia Clark. Her work is now being reconsidered, like those of other artists from South America, thought to be an alternative to performative gestures in the United States and Europe. The use of the body is linked to African-Brazilian rituals, carnivals and especially to specific political contexts where the body is a means of resistance.